While the details are still in the air, the chances seem good that Relic and Games Workshop will team up for Dawn of War 3. Quinn Duffy, lead designer on the title, certainly seems optimistic, which is a good sign after several project restarts. The reason things are foggy revolve around the downfall of THQ in which developer Relic was purchased by Sega as well as the rights to the Company of Heroes franchise. 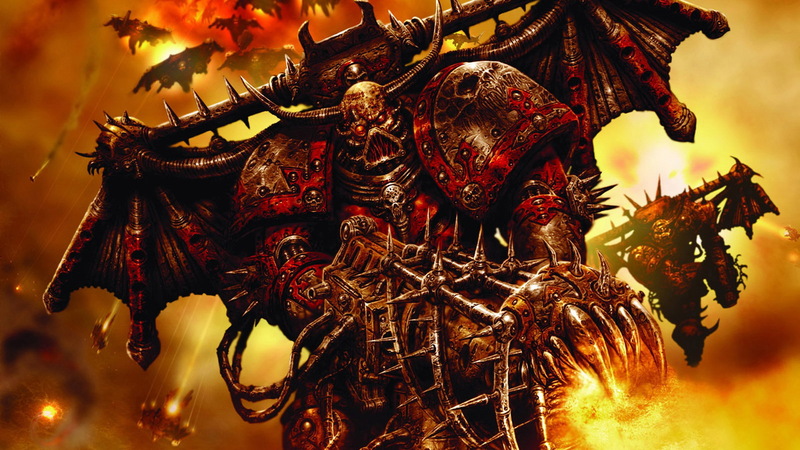 Eurogamer reports that the rights to the Warhammer 40k game franchise, however, are still up in the air, as no one seems to know (or want to say) whether the franchise was part of Sega’s acquisition. Duffy was also unsure, stating that not all of of Relic’s properties “were part of that initial sale package.” However, Duffy did mention that “strong possibility” of a Relic/Games Workshop (owner of the franchise) team-up for the next game. Last year, there was talk on Dawn of War 3 getting released, but since then the project has been restarted a couple of times and it is now unclear whether it is actually in development or still stalled in the planning pages. At the very least, however, the passion for the project seems to remain, which bodes well for the future of the game. Are you a fan of Relic’s Dawn of War series? Tell us in the comments, or discuss the series in our forums!